Artist Andrea Bergart probably thought that painting on canvas was too boring. 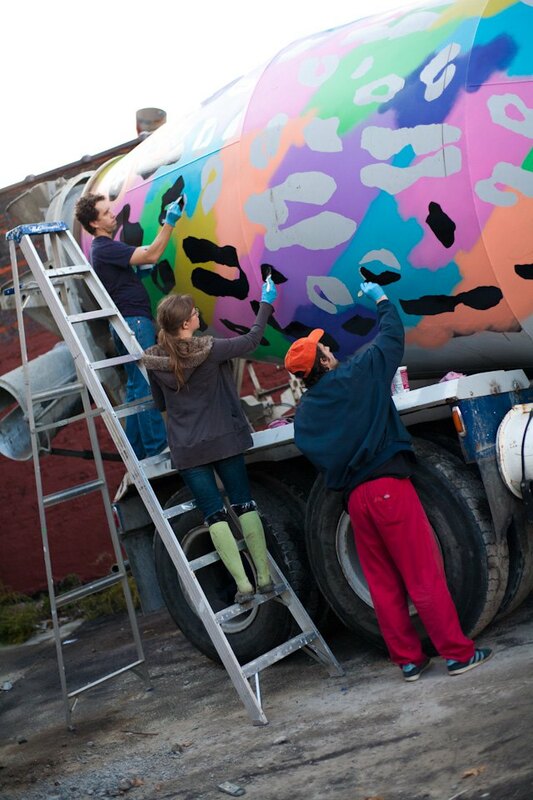 Instead she decided to paint...a cement truck. 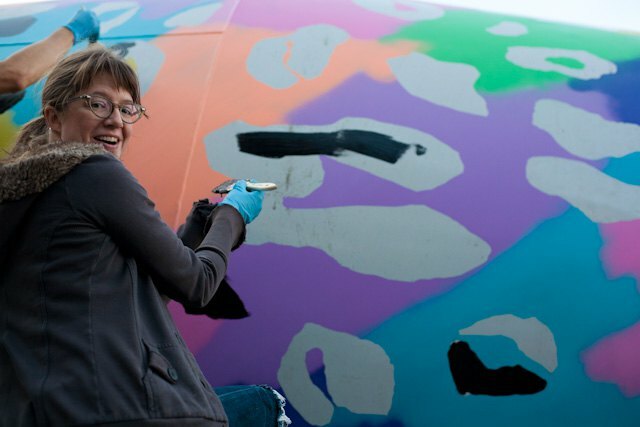 Dré chose her signature Lisa Frank cheetah print and turned one of the boring trucks into a travelling sensation! 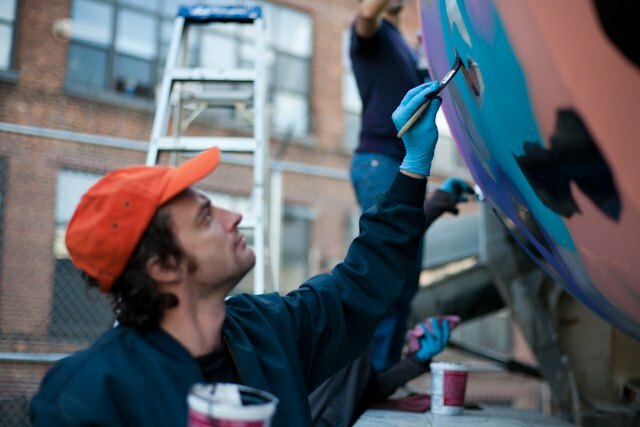 "I was inspired by the 1983 documentary Style Wars about New York street artists and the hip hop culture, " said Dré while shaking up Ms. Jackson purple color spray. 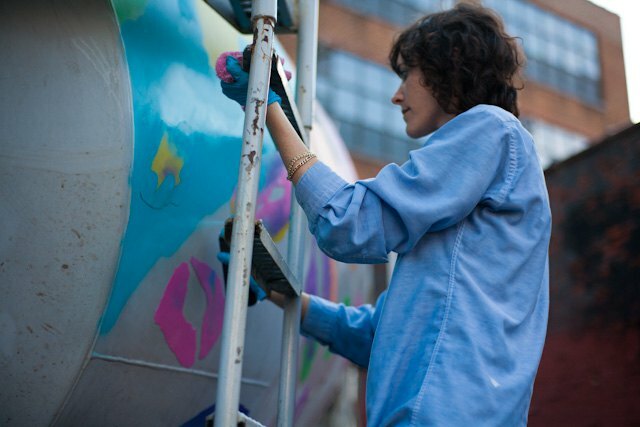 "I love how the street artists painted trains and those would then travel through boroughs. I love the idea of an image going 'all city,'" she smiled. While biking around the parking lot of cement trucks on Boerum Street, the idea hit her. 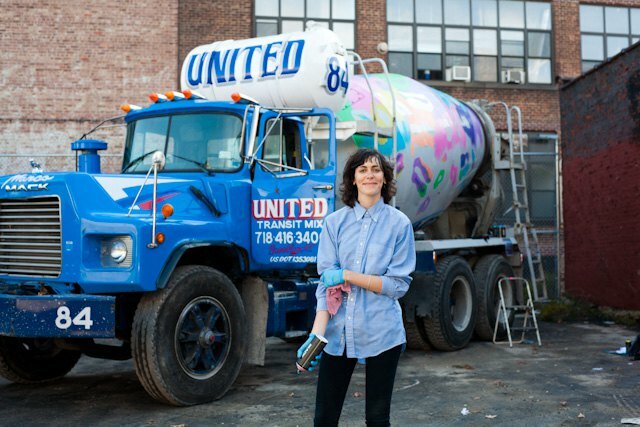 She talked to the United Transit Mix Inc. owners Danny and Tony Mastronardi who at first hesitantly but ultimately proudly let her paint one of the trucks. "I told Danny I planned to use very feminine colors and I was a little worried but then I saw him snapping a picture with his phone, and I knew he liked it." Dré prepared a mock up in Photoshop, bought a lot of spray paint and black house paint. She used magnetic stencils to create cheetah patches, which we believe is genius. 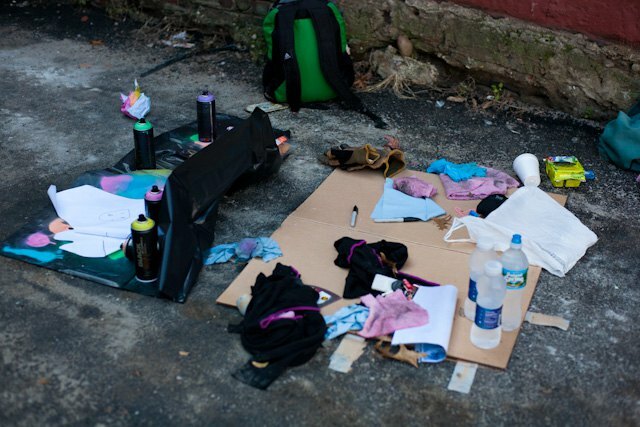 The work took her one day - thanks to a bunch of friends who volunteered to help her paint. "I love how the trucks are these lifelike vessels that need to rotate to stay alive," Dré said. 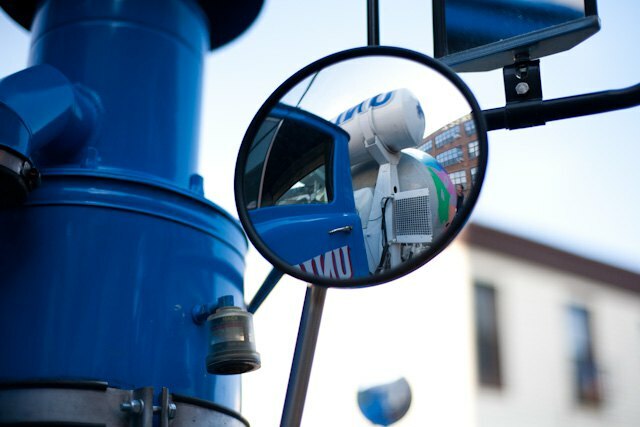 We love how the cement truck turned out. Furthermore, people have started to spot it in different places in the neighborhood and take pictures of it. Andrea Bergart is a Ridgewood-based artist who is influenced by 1990s imagery and by African patterns. Besides paintings and drawings, she also creates murals. She completed a mural for the last year's Scope Art Fair and also has a couple of them in Ghana. 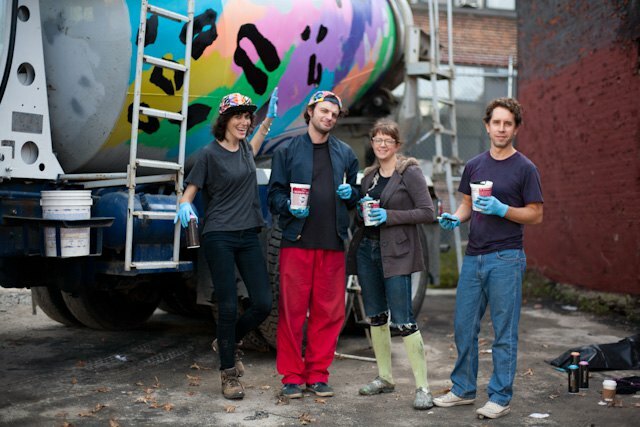 Check out Bushwick Daily interview with her here.